Welcome to the Nikwax blog » Nikwax® is Green to the Core! 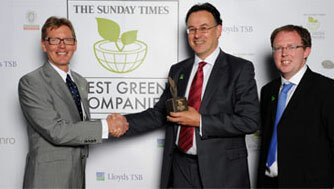 For the third consecutive year, Nikwax® has received a highly regarded Sunday Times Best Green Companies award, which goes to companies that are recognised as visionaries of sustainable, environmental business practices. Nikwax® was founded in 1977 with environmental responsibility as one of its main principles, and continues to lead by example with its staunch environmental policies. Nikwax is the only outdoor company to be honoured with the prestigious award.